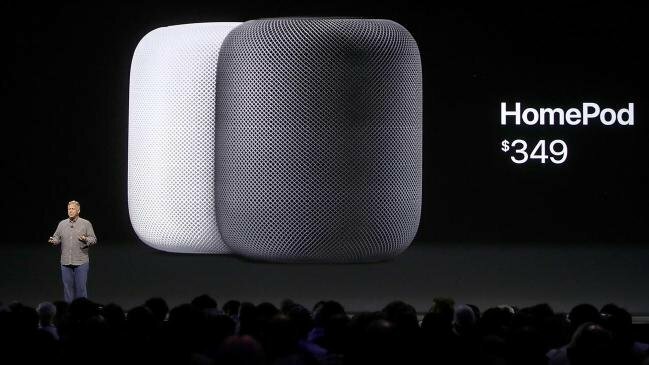 As rumored, Apple unveiled the ˜HomePod speaker”–the company’s version of a home assistant–to take on the Amazon Echo and Google Home. Apple made a good move to distinguish the device as the best music experience (less emphasis on the assistant) now having the ability to leverage the 27 million active Apple Music subscribers. However, HomePod does not support other paid or free music services. To listen to other services, a user will have to stream from another device to the HomePod via AirPlay2. The device is 7 inches high, brags 7 tweeters and 6 microphones. At $349 and available in December, HomePod will be much more expensive than incumbents’ offerings who have a sizable head start.Â Apple is banking that the integration with HomeKit and the audio superiority will pull in high-end customers. Apple & Phil Schiller were quick to point out the anonymous Siri ID is encrypted, so no secret surveillance to be had. No debate on the machine learning horse race between Google & Apple here, but with an installed base of 1b iPhones, the battle will continue. Clearly, Siri is coming from behind on what the device can do as a ˜personal assistant”. It will be interesting to see how Apple improves over the next 7 months prior to launch. There will be a new iWatch coming with a new OS, but the most interesting announcement needs some more details to assess. The top selling smartwatch in the world will get a facelift with new watch faces including Toy Story version. Not too exciting. A bit more impressive will be the machine learning features of receiving updates to a users most used apps, which are dynamically updated as the user raises the watch up into view. Improvements will also come to athletic tracking including improved pace and sport tracking, better analysis of indoor workouts, high intensity interval tracking and the ability to link iWatch with gym equipment to better track calories and quality of workout. Garmin and the dedicated sports watches need not be worried. Yet. The barnstormer was glossed over with limited details. Apple will have a glucose monitoring solution. How? A sensor under the skin? FDA approved? Accuracy? 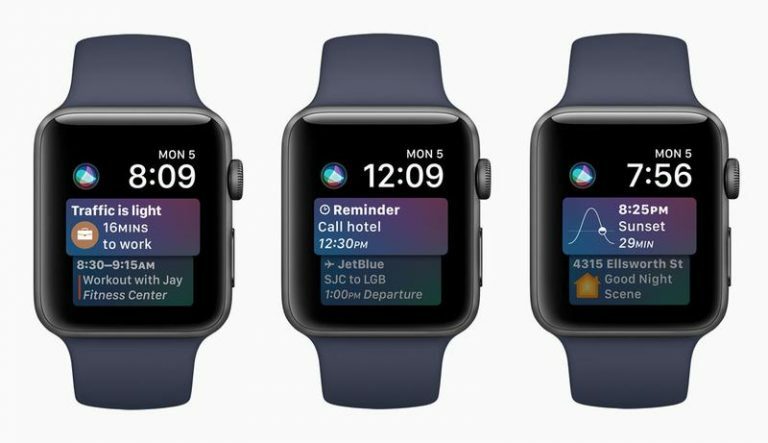 It could be that now with 3rd party access to the watch’s BT, it may be a glucose monitoring device can send data to the watch face and users can see a dashboard on the watch face. This is potentially interesting, but the devil is in the details. The Mac still garners 10% of the company’s total sales and revenues have increased 14%. Apple is banking on positioning both the hardware and software to keep up with the needs of AR. 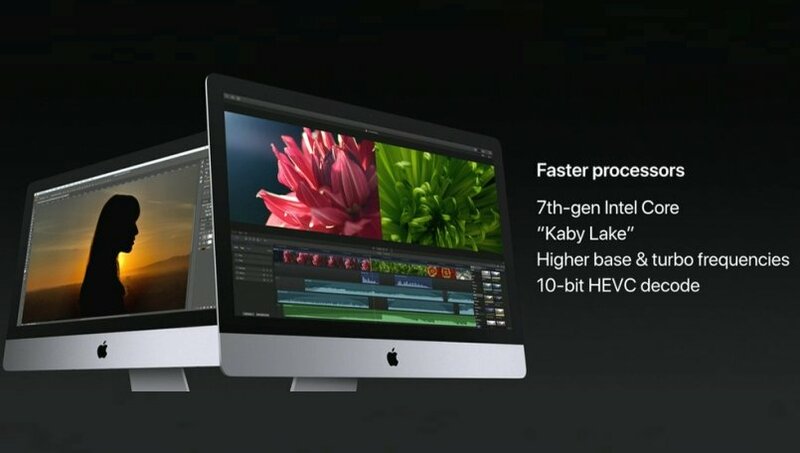 In so doing, the new Mac lineup with 7th gen Intel Kaby Lake processors were announced. Other brags include faster driver storage with up to 50% faster SSD. here will be up to 4 terabytes of storage available as well as 2x Thunderbolt C drives. 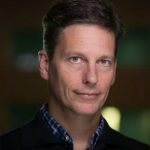 The company intends the highest end variant to lead the market in machine learning, AR consumption, and VR content creation. On the software side, future innovations are set up with refinements to the Mac OS, ˜High Sierra”. Refinements to Safari include more efficient/better battery life/speed. The company states there will be 35% more memory available, better facial recognition, more editing tools, updated Apple file system to Mac, native encryption and frequently used items in inode. The spec sheets aside, developers will be keen on the sufficient HW/SW combination to set the building blocks for machine learning and AR applications. 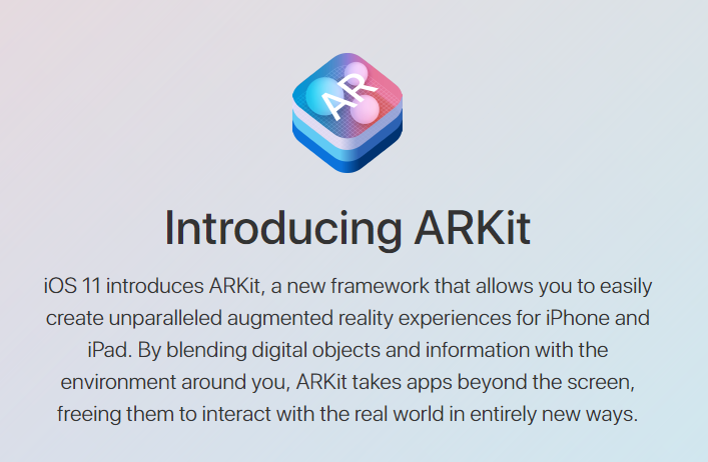 ARKit will be unveiled during the week to assist developers with AR application building. Siri continues to grow. More countries & more languages. 3D touch has more features and information. Advertised as a ˜better control center”. #1 contactless payment company will no offer P2P payments integrated into message. Maybe most impressive were the CarPlay and integrated Maps updates. Wifi Doppler affect will detect when users are driving. Safety initiatives are (finally) implemented and a ˜do not disturb while driving” automated message sent to contacts notifying them iPhone users are driving. Improved CarPlay voice activation controls and improved lane guidance notifications will allow safer, heads-up driving. Improved indoor maps in malls and airports were demo’d. This will open potential applications for couponing to users who opt in. New photo & camera features include ability to grab key photos from video. New affects include ‘seemless’ loop, ‘bounce’ affect, and ‘long exposure’. Nice but only equaling what is already available. If anyone cares, Siri will come in new voices advertised as ‘smoother and softer’. Apple’s big TV ambitions have largely been squashed to date. Small wins announced were Amazon will now be a partner with Apple TV app. The TV app has now grown to over 50 partners. Even in the friendly crowd of Apple faithful, the iPad Pro update was met with pretty much silence. Key brags include 10.5″ retina display which basically fits in the 9.7″ variant’s footprint. ProMotion doubles to 120Hz refresh rate for smoother scroll and responsiveness. 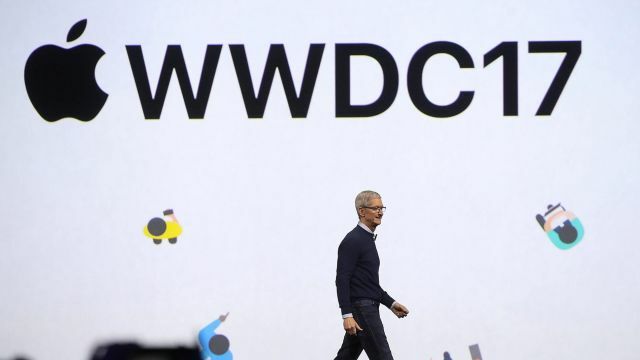 In Day 1 of WWDC 17, Apple did a sufficient job of providing the needed tools and Apple marketing pizzazz to draw the attention of the developer community. To this end, Apple succeeded.